This pearly white cream will delight your skin into being firmer and toned; bringing you back to those youthful years. Cream Réparatrice will help to fight the signs of ageing and the consequences of frequent dieting or pregnancy. 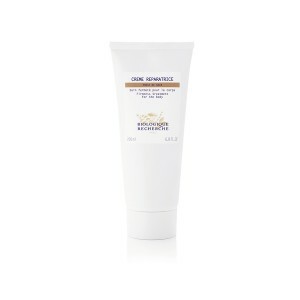 With glycoproteins and natural amino acids to revitalise and hop extract to moisturise, this body cream helps to improve the skins elasticity and restore its firmness of your areas of concern such as the neck, décolleté, stomach, inner arms or thighs. Ideal to fight the signs of ageing and the consequences of occasional imbalances (frequent dieting, pregnancy). Revitalising agents: Glycoproteins, Natural Amino Acids.